This is undoubtedly Orlando’s key advantage over the rest of Florida. 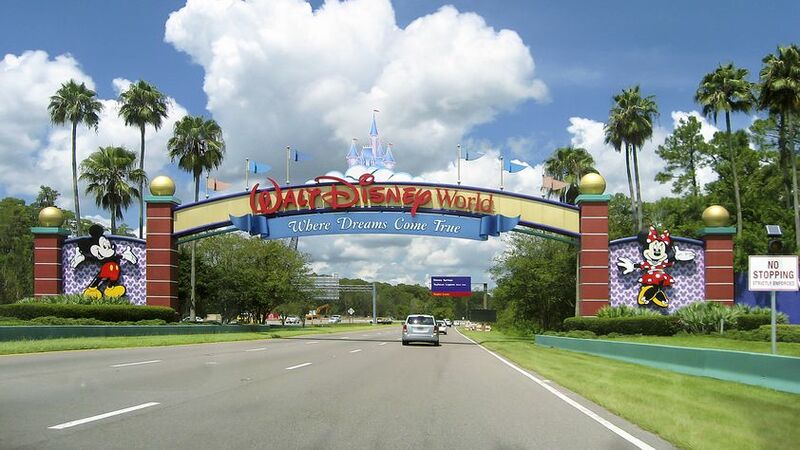 Its location means Sea World, Universal Studios and Disney world are easily accessible. This makes it possible to stay in one of the many spacious villas in Orlando and commute easily to the world-famous parks. At an hour’s drive to the nearest beach, Orlando is not ideally suited to those seeking a beach holiday. But with a combined total of over 1,350 miles of coastline, Florida has some of the most spectacular beaches in the world! Many locals claim Key West, a town at the southernmost tip of Florida Keys, is where the best beaches are. The quaint island of Siesta Key is also a favourite. 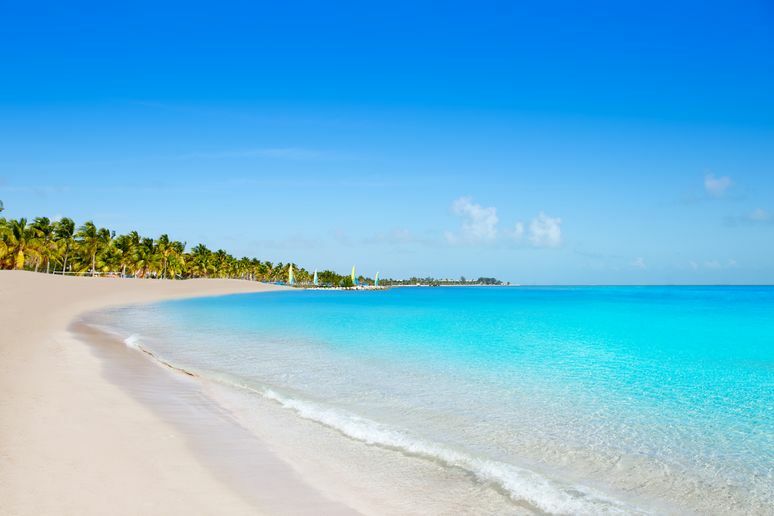 The Gulf-side strand is a huge expanse of white sand lapsing into bright turquoise water, and has won the accolade of best beach in the US by Dr. Beach in 2011! Downtown Orlando has a surprising amount of top quality nightlife. The climate makes it perfect for rooftop bars, such as Sky 60, while the nightclubs attract some of the top international DJ’s, playing everything from techno to hip hop to Latin jazz. 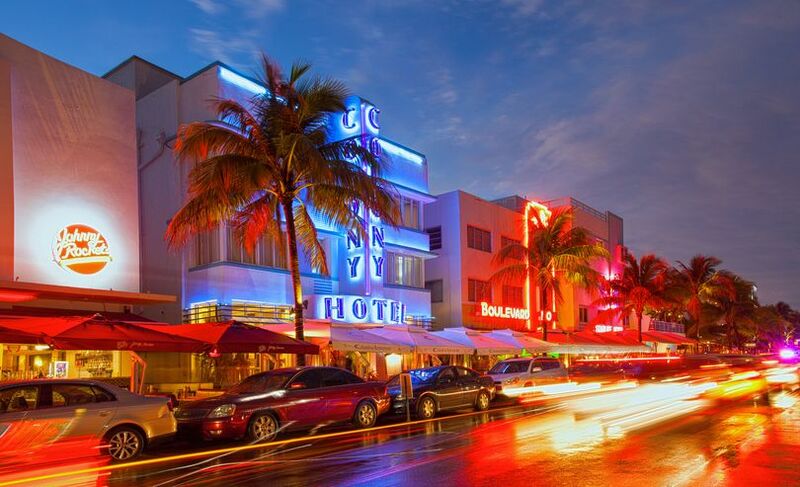 However, Miami undoubtedly is the best place in Florida for nightlife. The Latin population has imparted their Spanish propensity for all-night fun. Bars are open well into the hot summer nights, playing very best Latin music, as well as rock and electronic. Orlando is not well-known for its cultural gems, but that doesn’t mean they aren’t there! The Orlando Repository Theatre stages excellent family-friendly plays, usually based on kids’ literature. 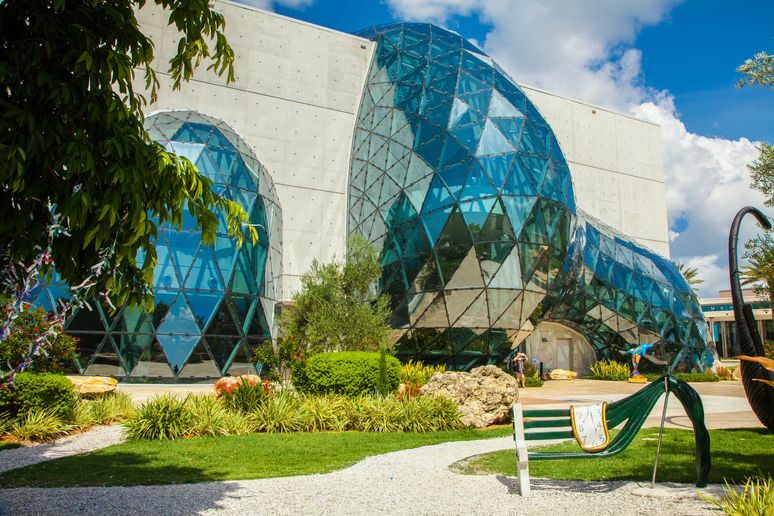 There is also the Bob Carr Performing Art Centre, which is home to Orlando Ballet, one of the few ballet companies of its size performing full-length classics. The venue also hosts opera and theatre. For visual art, however, Tampa has to take the prize. The Tamper Museum of Art has a stunning collection of both classical and contemporary art spanning a broad range of mediums. Tamper also has a great café culture, including the famous ‘Ginger Beard Coffee’, which sells nitrogen-infused coffee! 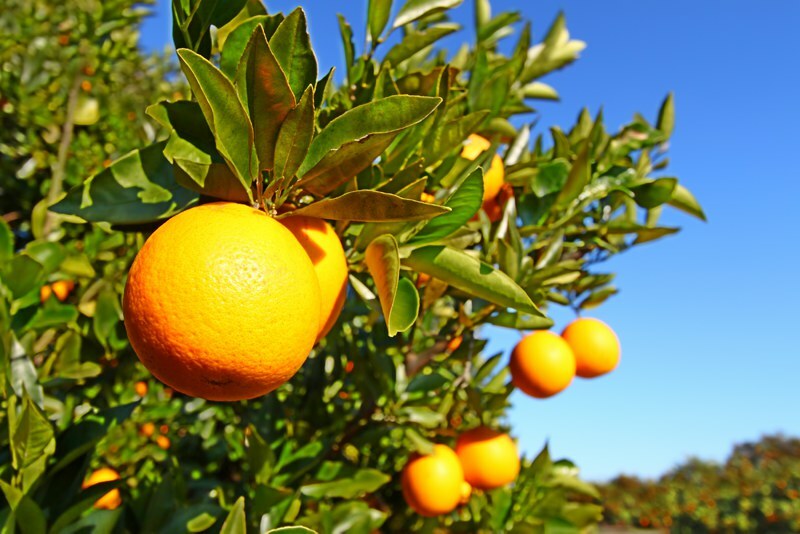 Florida is warm all year round, with monsoon season bringing heavy rain from June to August. The coastal areas of Florida, such as Miami and Tampa, enjoy the maritime effect of the sea breeze. This makes it cooler in summer and warmer in winter. Orlando, on the other hand, is an hour inland, making temperatures slightly more extreme, with average temperatures in January at around 15°C, rising to 28°C in July. Despite being a city, Orlando is great for nature! The Tibet-Butler Preserve is a green sanctuary with loads of interesting trails, it’s also free to enter! Or if you really want to experience local wildlife without leaving the city, head to Split Oak Forest Mitigation Park, a wondrous maze of twisted oak trees. 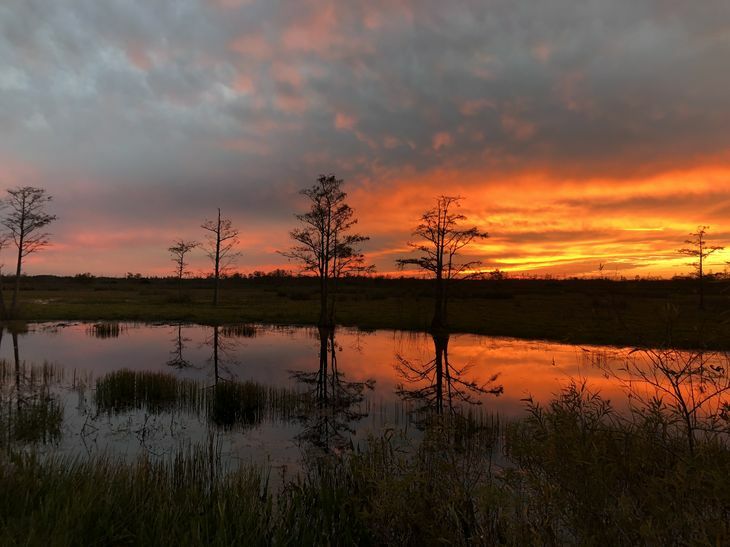 For the ultimate natural experience, however, head to Everglades National park – the largest subtropical wilderness in the United States. In this World Heritage Site live various rare and endangered species, such as the Manatee, Florida Panther and even the American Crocodile! Inspire to book a trip to Florida? Check out these villas in Florida. Where’s your favourite place in Florida? Comment below!